Alpine mold specializes in high quality Die Cast Aluminum such as Aluminum HeatSink for LED and aluminum heatsink with more than 100 employees. At the beginning, we produced the die cast aluminum molds and the Aluminum HeatSink for LED and aluminum heatsink products for domestic companies, or some international trade companies. 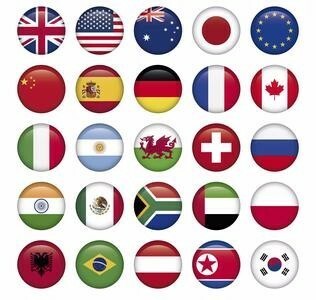 Now we are concentrated in international market. After more than 15 years’ development in this industry, we know the international mold standards very well, such as: HASCO, DME, MISUMI, LKM. Until now,we have produced more than 5000 sets of die cast aluminum molds and have been molding millions of Aluminum HeatSink for LED and aluminum heatsink for Sony, Toshiba, Volvo, Gree, Midea! Our products reach to the range of electronic products, automotive products, home appliances and so on in aluminu alloy and zamak/zinc alloy etc materials. Equipped with the most advanced software such as ProE, UG, CATIA, Solid works and Moldflow for designing, analyzing and manufacturing, Alpine Mold has imported a lot of sets high precision die cast aluminum tooling machines from German and Japan, including High Speed CNC, EDM, Wire Cutting Machine, and CMM Inspection Machines and so on to guarantee Aluminum HeatSink for LED and aluminum heatsink in high standard product quality. Alpine Mold persists in Aluminum HeatSink for LED and aluminum heatsink in higher quality, lower cost, punctual delivery as the primary business philosophy. Based on professional, people-oriented, and customer-centered management, Alpine Mold takes "customer - oriented, Quality first" as company's aim, committed to provide clients with high quality products and overvalued services by right of advanced technologies, scientific management, and continues improvement. 1. -15 Years of experience in die cast aluminum, provding all kinds of aluminum products:cctv camera housing,cylinder,Wheel Hub,exhaust manifold,blow off valve and any other product you need. Alpine Mold is a professional die cast aluminum mold manufacturer. we have produced more than 5000 sets of die cast aluminum molds and have been molding millions of Aluminum HeatSink for LED and aluminum heatsink for Sony, Toshiba, Volvo,Gree, Midea! Our products reach to the range of electronic products, automotive products, home appliances and so on.The company developed quickly and it has got great achievements in scientific and technological creation and new product development, after several years of constant development, Alpine Mold has accumulated rich experience in building mold field, 80% of our die cast aluminum molds and Aluminum HeatSink for LED and aluminum heatsink are exported to Canada, American and European countries.